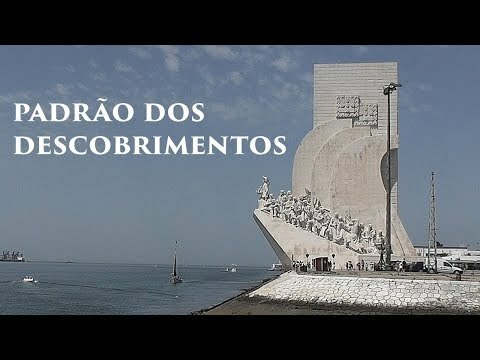 Padrão dos Descobrimentos is a monument that celebrates the Portuguese Age of Discovery (or Age of Exploration) during the 15th and 16th centuries. It is located along the river where ships departed to explore and trade with India and Orient. The monument was conceived in 1939 as a temporary beacon during the Portuguese World Fair, opening in June 1940. Yet, by June 1943, the original structure was demolished after the exposition. Between November 1958 and January 1960, a new monument was constructed in cement and rose-tinted stone, and the statues sculpted from limestone excavated from the region of Sintra. The new project was enlarged from the original 1940 model. The South African government was responsible for gifting the construction of the square in front of the monument: a 50-metre-diameter (160 ft) Rosa-dos-Ventos (compass rose). The top of the monument (reached via an elevator or stairs) offers views of the Tagus river, the Belém neighbourhood and its many attractions. The height of the monument is 52 m (171 ft). The monument is located on the northern bank of the Tagus River estuary, in the civil parish of Santa Maria de Belém, Lisbon.